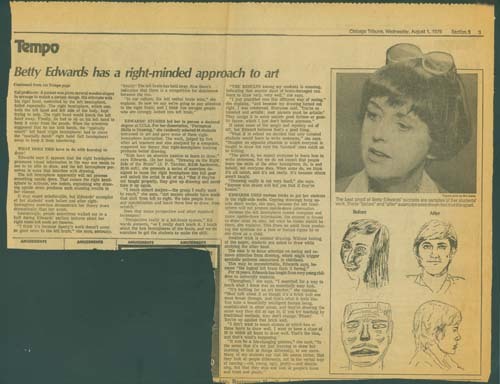 On August 1, 1979 the Chicago Tribune printed a drawing by Picasso. It filled more than half the page. Picasso fans immediately identified it as representing Stravinsky, but they would have been in the minority and that’s not what matters. What matters is that the drawing was upside down. 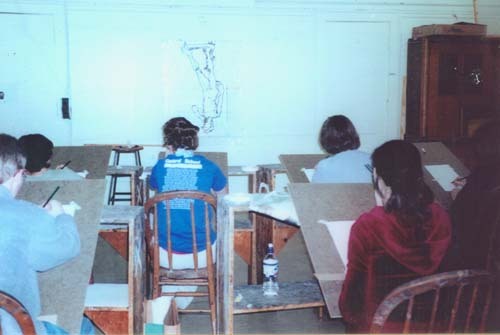 As she was doing a demo in her drawing class one day, Betty Edward, a fifty-one year old art teacher in California, had to admit that she couldn’t talk and draw at the same time. Her dilemma had a physiological explanation: the left hemisphere of the brain controls verbal skills and the right side of the brain does the visual work. Since one has to dominate at any time, the two get into a conflict if you try to draw and verbalize what you’re doing at the same time. In order to subdue the verbal side, she made her students practice upside-down drawing. 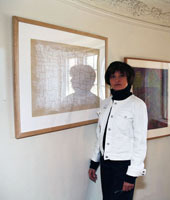 Within three months they could draw with astonishing skill and complexity. 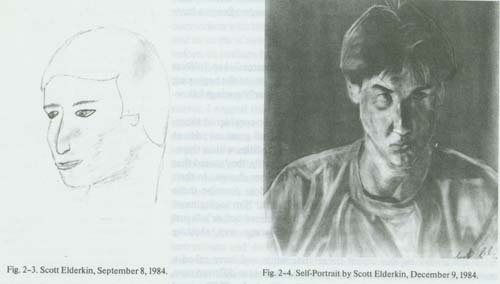 The before and after examples she prints in her books are breathtaking. Three months!! ! 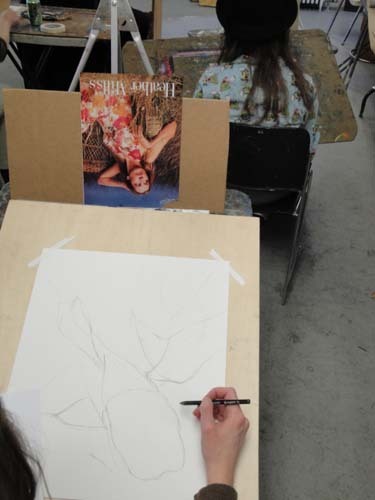 Upside-down drawing is the most valuable exercise you can do if you want to learn to draw. Practice! Practice daily. See previous post for how to set up your drawing exercise. Save your early work in a folder somewhere. Three months later, pull it out, place it next to your accomplished drawing and remind yourself that learning to draw was easy. Granted, it takes a rescheduling of your time, but an hour a day and two hours on Saturday or Sunday will do it. Congratulations! As Edwards says, if you can write your name and ride a bicycle (not at the same time) you have the necessary motor skills and hand-eye coordination it takes to draw. 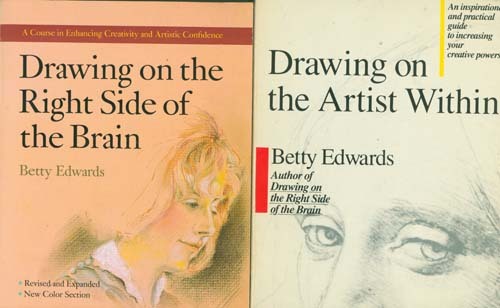 In 1986, Edwards published “Drawing on the Artist Within.” Both books are recommended for their insights and instructions. But it’s not about quoting artists, dropping names and technical term, or knowing theory. It don’t mean a thing unless you set time aside to practice. Astonish yourself! Get into the buzz of drawing.